Zombieland. Stills and poster from the upcoming film "Zombieland" (2009). 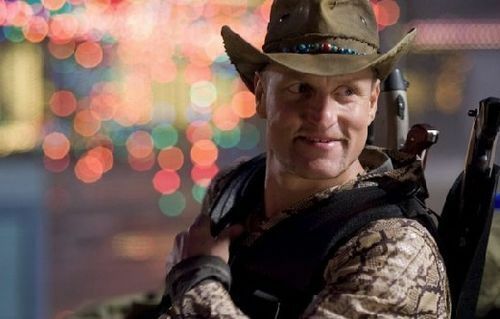 Wallpaper and background images in the 恐怖电影 club tagged: horror movies 2009 zombieland woody harrelson. This 恐怖电影 photo contains 捕捉帽檐帽子, snap brim hat, 管理单元边帽, 帽子系列, 活动帽子, 运动帽子, 软呢帽, 毡帽, 斯泰森, fedora, homburg, trilby, 洪堡, and 斯泰森帽.